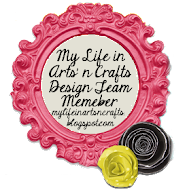 Hello and welcome to the “Winter Baby Birthday Blog Hop”! We’re super excited that you could join us for this awesome one day hop to celebrate my birthday. This hop will be filled with lots of fun winter theme projects for all of those that share a winter birthday with me. If you came from http://creationsbyqueenb.blogspot.com/ then you’re on the right track, but if you just happened to luck up on this hop, then head back to Kristy’s blog and hop through from the beginning. Be sure to hop all the way through, leave a comment on everyone’s blog, and become a follower of everyone in the hop to be eligible for some fun prizes! 1) A Kristel Andrews stamp set!! 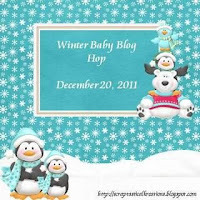 Be sure to stop by her fan page HERE and let her know you're hopping by from the Winter Baby Blog Hop! 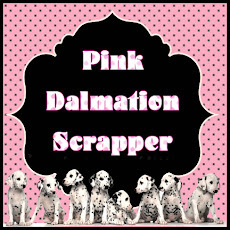 2) A $20 GC to my store, Scraptastical Kreations Paper Piecing Patterns. Stop by our fan page and let us know you hopped by from the hop! CLICK HERE to get to our fan page! Prize 3 - A handmade paper piecing set from CBC Scrapbooking. Click HERE and let Colleen know you hopped by from the hop. 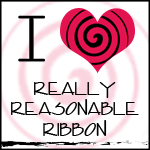 Be sure to comment and follow each blog to be eligible! My project for the Winter Babies Blog Hop is this altered Tootsie Roll Bank. move to colder weather once it gets sunny! Now for a little Blog Candy! I am offering an assortment of 15 sheets of 8 1/2 x 11 velvet paper. for this as well as all the prizes listed above! Love the idea and the snowman. I love your project!! So cute!! Great Job! Glad to be in this hop with you!! Beautiful! I love your Sunny day fund!! :) Merry Christmas!! Great job, what a cute idea! This turned out so cute, Pam!! Thank you for being in my hop with me and you're no longer a hop virgin! nice job on the bank..love it!! I am a new Follower!! TFS!! OMG! Your project is just the sweetest! What a adorable way to decorate a can, I just love the colours you picked and the snowmen our adorable. I just might have to scraplift this ideal. TFS! I am your newest follower and hope you will do the same. I just love compant! LOL! Merry Christmas to you and your family. What a neat project and I am sure that it will be a great gift for someone. I am a follower. This is such a great idea! Think I'll make "funds" for everything! this is darling. Time for me to go get a tootsie roll bank to do this too. Love it. So so cute. Love the banks. i never saw velvet paper, sounds interesting. I am a new follower. Hi Pam:) Fantastic project and great stocking stuffer!! This is really super cute. Love it. Nice being in the hop with you. super cute recycle tube! like the snowman!!!!!! I love the snowy day fund! It is super cute and a great idea! This is such a cute idea. I love it. So adorable.